Update (April 15, 2019) – Investigators with Kentucky State Police Post 13 now know the identity of the woman found dead on an ATV trail in Perry County last Thursday. Personnel with the State Medical Examiner’s Office in Frankfort were able to positively identify the body as that of 32 year old Mary Katherine Napier of Vicco, KY. No additional details are available concerning this investigation at this time. Viper, Ky. (April 12, 2019) – A body was discovered by an ATV rider in Perry County Thursday evening and investigators are suspecting foul play. Kentucky State Police Post 13 in Hazard received a call from a man advising that he was riding his ATV on a trail near Louis Cemetery Road when he discovered a female on the trail who appeared to be deceased. Trooper Charlie Moore responded to the scene in the Viper community and located the body on the ATV trail. KSP Post 13 detectives and the Perry County Coroner’s Office were also called to the scene. The preliminary investigation revealed that the female had an apparent gunshot wound to her body. No identifying information was located at the scene to allow for positive identification of the body. Perry County Deputy Coroner Jeff Combs made a death pronouncement at the scene. The body is described as being a white female who is approximately five feet three inches tall, weighing around 130 pounds. The woman was wearing a gray jacket and gray leggings with a multi-colored shirt and red boots. She is believed to be between 25 and 32 years old. An autopsy will be performed on the unidentified female at the State Medical Examiner’s Office in Frankfort later today. Anyone with information concerning this female is urged to contact KSP Post 13 at 606-435-6070. 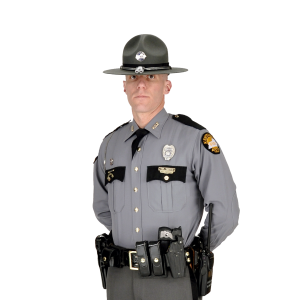 Information can also be shared at any of the Kentucky State Police social media sites or the KSP public web page, kentuckystatepolice.org. Detective Robbie Dials with KSP Post 13 is leading this investigation.